Custom Building Products is committed to environmental responsibility — in the products produced and in manufacturing practices. Under this philosophy, we search continuously for ways to reduce the burden on the environment and promote sustainability. 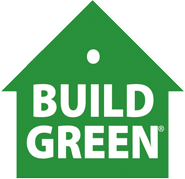 Custom’s Build Green® program is a leading model in the construction industry, supplying customers with environmentally-friendly products and the peace of mind that they are contributing to a cleaner world. Custom uses recycled materials whenever possible in manufacturing our tile and stone installation products. Recycled materials help conserve natural resources and reduce the amount of waste sent to landfills. Custom’s complete line of lightweight products conserves energy by using less fuel for transport. Also, many of these products contain recycled materials. Regional production of products at 10 locations throughout the country ensures many products will be manufactured within 500 miles of your project site – reducing transportation emissions. Custom adheres to tight, self-imposed requirements to minimize waste and pollution at every facility, and all plants follow stringent energy conservation guidelines. Waste is reduced through source reduction and recycling, and disposed of by safe, environmentally responsible means. Solid airborne particles in Custom’s plants are recycled to so that they don’t end up in landfills, and waste is never permitted to enter the waterways. Custom conducts regular environmental assessments at each facility, seeking ways to operate more cleanly and efficiently, and reviews environmental impact as an important part of corporate planning. Low-emitting materials that contribute to indoor environmental quality.